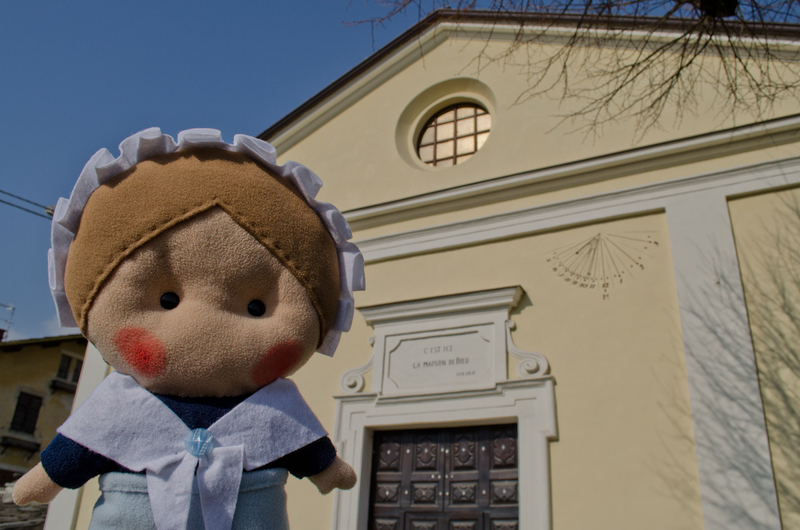 Today we are at Coppieri of Torre Pellice, a village upstream of the town center, in order to learn something about the history of the Waldensian temple that stands here. Already in 1594 the Waldensian residents of this area could officiate their worship, since they had agreed with the inhabitants of Torre Pellice of Catholic faith that they could use of the chapel of Santa Margherita for Waldensian worships: at that time churches were property of the municipality so, in exchange for the use of the chapel, Protestants had to leave to Catholics the neighborhood of St. Martin, at the entrance of the village. Inside the temple there is a plaque that would date back the temple of Coppieri to 1556, but actually there’s no document stating and confirming it. 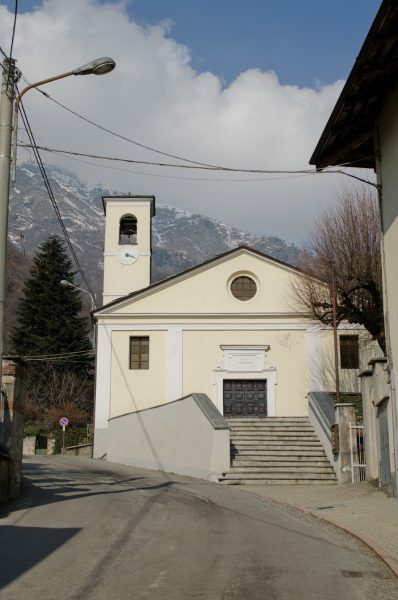 Very soon it became clear that the chapel of Santa Margherita was too subjected to the attacks of opponents. Then, since from the plain many Protestant refugees fleeing from Saluzzo were arriving in the valley, it was decided to build a bigger temple in the town of Coppieri, on the border of the territories established by the Agreement of Cavour. A glimpse of the hamlet, with the Waldensian temple and the Vandalino mountain behind it. The temple was probably built in 1608, but it was set on fire a few years later during the Piedmontese Easters, and then finally destroyed in 1686, as it happened in many other places of the Valleys. We know that the first Synod after the Glorious Return took place in Coppieri, but of course it had to be held in a makeshift place… Later on, the Sunday cults were officiated outdoors or in private homes of the faithful. 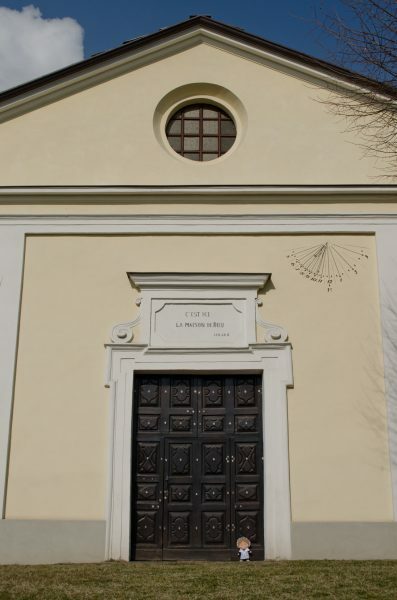 Although the appearance of the building is quite modest, inside it many famous foreign personalities of the past are buried; since these people were Protestants, they could not be buried in Catholic cemeteries of Piedmont. With the financial support of the Protestant community of Geneva, the temple could finally be rebuilt. In 1847 it was thought to restore the building at Coppieri, but Charles Beckwith rejected that proposal ’cause he had already asked and obtained permission to build a new temple in the most central area of Santa Margherita. The authorisation was allowed on one condition: for a new temple built, an elder one had to be completely demolished … and this was just what was supposed to happen at the temple of Coppieri. The beginning of the labours for the construction of the temple was delayed because of the opposition of few families who wanted it to be built in a more convenient area (preferably downstream). The choice of the location where the temple should be built took a very long time, but it was not bad because the following year the Letters Patent were issued… and this event enabled the inhabitants to have both temples: they did not have any more the duty to destroy completely the old one! In the end, the temple at Coppieri was restored and the new one was built in the so-called “Waldensian District”. reach and overstep the town of Torre Pellice (To) along the Provincial Road 161. Once you get in front of the Waldensian Hospital, take the first road on your right (Coppieri street); at the top of the hill you can see the temple.